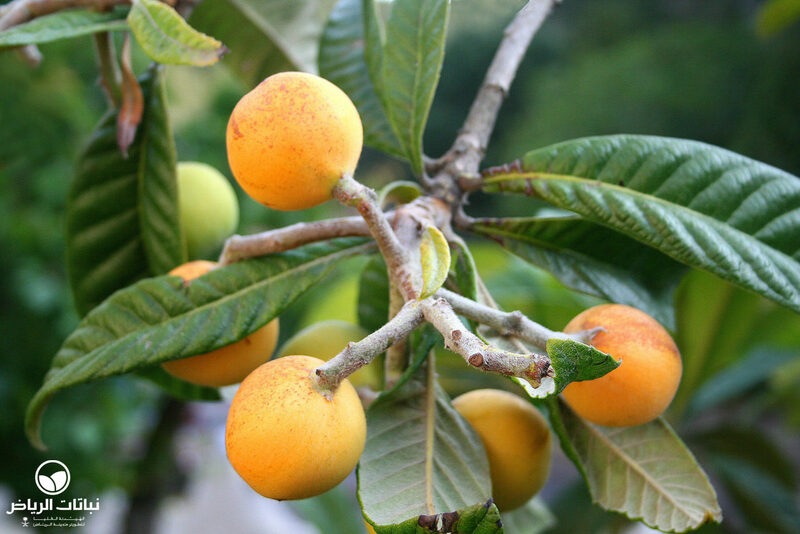 Eriobotrya, commonly known as Loquat, is an evergreen shrub or small tree with a compact, rounded structure that reaches a height of between 3 and 8 metres. 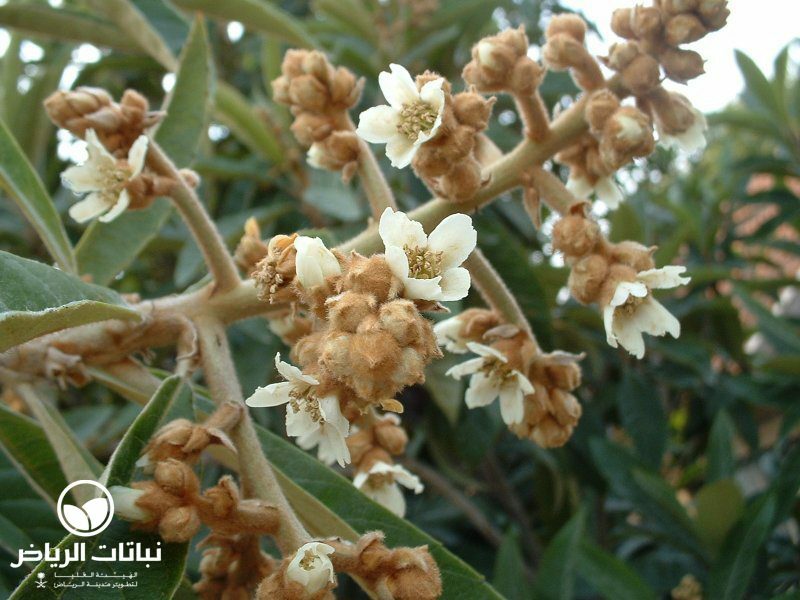 It is indigenous to Central China and South Japan, and seen in Arriyadh only in sheltered gardens and farms. 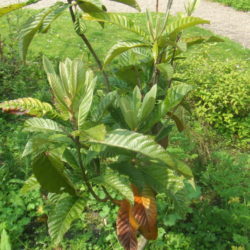 The bark and young branches are woolly and the large, deep-veined and saw-toothed leaves are glossy, dark green on top and rusty underneath; they are elliptically shaped and up to 30 cm long. Clusters of small, white, rose-like flowers appear at the branch endings in panicles in autumn and winter, exuding a scent of vanilla. The small, edible, round fruit is deep-yellow in colour, and sweet in flavour. The large seed can be squeezed out of the fleshy fruit. 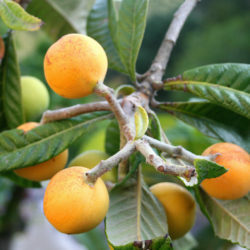 Loquat is deep rooting and likes well-drained, but moist soil, and is nevertheless quite drought-tolerant. Growth rate and salt tolerance are moderate. 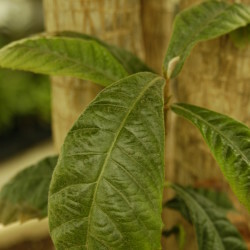 E. japonica can be propagated by seed or cuttings. 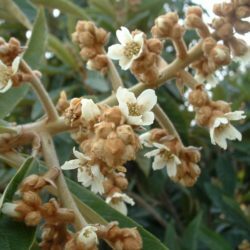 It is an appealing, small tree for a protected, private garden or patio or a large container, because of its attractive foliage, flowers and fruit. 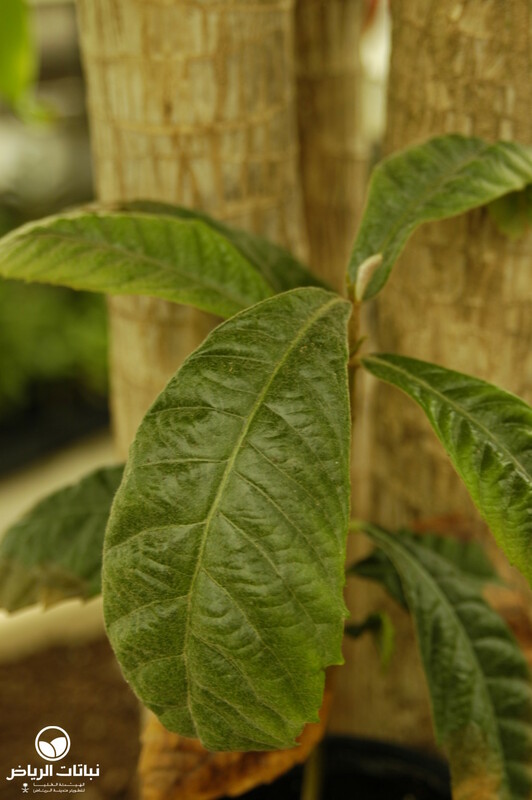 Best planted in wind-sheltered locations, Loquat will make an excellent specimen, dominant or edging plant in a park, too, if sheltered. 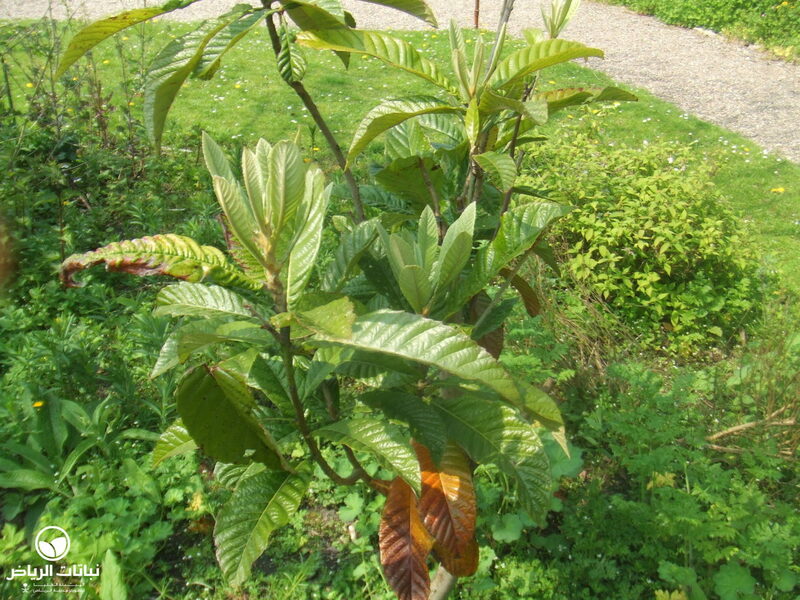 It requires a rich dressing of fertiliser in spring, and is susceptible to fireblight, root fungus and mealybugs. Maintenance is moderate and pruning is required from time to time to improve the tree’s shape and to thin out the interior branches, to allow sunlight to reach inside. In this way, fruit-bearing will be increased.